On the advice of our insurance provider we are introducing a new method for overseeing guests using the club facilities. We will now ask guests to fill out a day membership form and pay €10 fee for adults €5 for juniors. This will effectively make them a club member for the day and they will be covered by our insurance policy. The same guest can only play twice in one calendar month. You can give the entry fee to a committee member at social tennis, this Wednesday or Saturday. 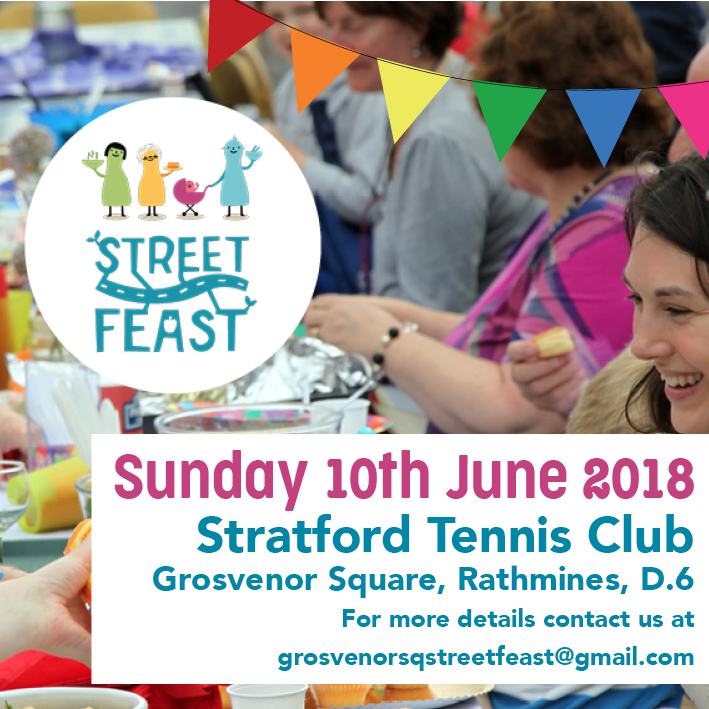 Folks Street feast time again, bring friends along to club, have a chat play some tennis share some food. Please download and fill out club Handicap Entry form from link below. Make sure you’re available for finals on July 8th. There is a €10 entry fee for the competition, which will go towards the prizes.